Discover the world of Milk_shake Creative Permanent Color & Smoothies. A complete range of lightening products Created through the know-how of z.one concept research laboratories to offer a wide range of solutions for in-salon lightening and toning services. Learn more about decologic combined with the latest spring lighting trends and techniques. Learn how conditioning lightening services can grow your clientele see the new illuminate soft highlights to add a touch of color in just 5 minutes. 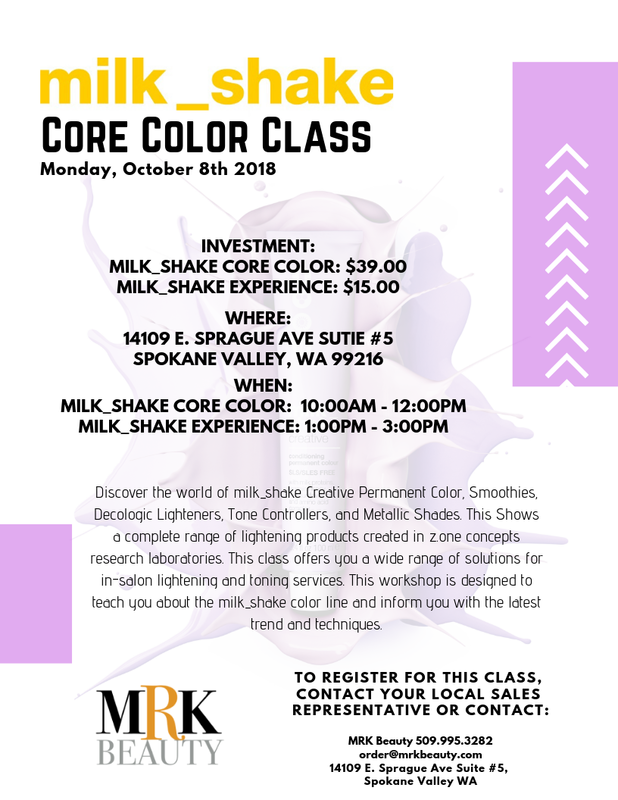 Contact MRK Beauty at 509-995-3282 to reserve your spot.